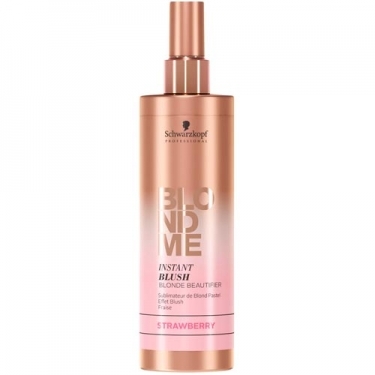 DESCRIPTION: Blond Me Instant Blush from Schwarzkopf is a pastel shade that perfects the laurel in a delicate and instant way. The tone does not compromise colour and holds up to three washes for maximum flexibility. Ideal for use after rinsing or discolouring hair. Apply on wet blonde hair.